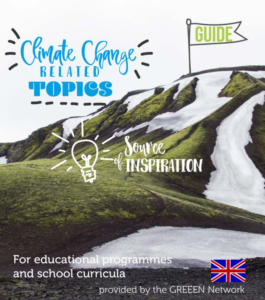 The GREEEN network developed a Guide on climate change education that is meant to serve teachers and other education professionals as a source of inspiration for the integration of climate change related topics into educational programmes and school curricula in a creative and multi-disciplinary way. Thoughts on what GREEEN considers to be critical knowledge and competences students and teachers need to have. 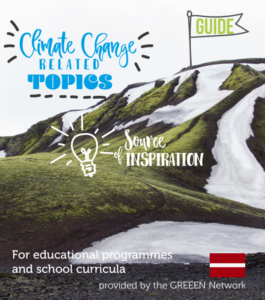 Good practice examples on how climate change has been integrated into specific subjects or into extracurricular activities – all gathered by the GREEEN partner schools and all based on real experience. Examples of networking activities and presents the various offerings provided by the GREEEN Network.